Development of ionic liquids that exhibit useful and unique properties has created huge untapped potential for commercial applications to increase operating efficiencies of many chemical production operations. By Dr. Uwe Vagt, BASF AG and Dr. Calvin Emanuel, BASF Corp.
Development of ionic liquids that exhibit useful and unique properties has created huge untapped potential for commercial applications to increase operating efficiencies of many chemical production operations. These include highly selective, high-yielding and previously unavailable intermediate synthesis, and energy efficient azeotropic distillations, i.e., as entrainers in azeotropic or extractive distillations or in extraction processes. One application might be in separation of aromatics from aliphatics, or separation of phenols from reaction mixtures. Additional applications exist in the textile, paper, plastics, nuclear waste treatment, electrolytes for batteries and capacitors, and the oil and gas industries. A quick search of patent literature indicates many new applications to come. Ionic liquids, a new class of purely ionic, salt-like materials, are liquid below 100oC. This is a functional definition. Commonly, they have melting points below room temperature, with some even below 0oC. These new materials are liquid over a range of 300 oC to 400oC, from the melting point (m.p.) to the decomposition temperature of the ionic liquid. Compared to table salt, NaCl, with a melting point of 801oC, 1-ethyl-3-methyl-imidazolium ethylsulfate, a typical ionic liquid, has a melting point of -20oC. Figure 1 shows NaCl on the left and an ionic liquid on the right. Figure 1 shows how the irregular shapes of cations and anions in the ionic liquid pack poorly in the crystal structure compared to the regular pattern in NaCl. This leads to low melting points in ionic liquids. In addition, the amorphous nature of ionic liquids spreads out the charges of the cations and anions. This contributes to lowering the melting point. In some cases, especially if long aliphatic side chains are involved, glass transition states can be observed instead of a melting point. The strong ionic (Coulomb-) interaction within ionic liquids results in negligible vapor pressures, unless decomposition occurs. Below the decomposition temperature, the material is non-flammable and highly stable thermally, mechanically and electrochemically. Furthermore, it imparts very appealing solvent properties and immiscibility with water or organic solvents that results in biphasic systems. Ionic liquids are frequently reported as being non-flammable. This is only true up to the temperatures at which decomposition takes place. Some ionic liquids already start to decompose at 120°C, others are stable up to nearly 400°C. Upon decomposition neutral and volatile molecules are formed, which, of course, can burn. This explains why ionic liquids indeed have flashpoints even if they are usually much higher than 100°C. However, ionic liquids can easily be disposed by incineration, which is usually done at temperatures of several hundred degrees Celsius. At these very high temperatures even the toughest organic ionic liquids will break down. The cation has a strong impact on the ionic liquids properties and will often define its thermo-stability and electrochemical stability. Furthermore, choice of the anion controls the chemistry and functionality of the ionic liquid in general. For example, the choice of a hexaflurophosphate anion with 1-butyl-3-methylimidazolium (BMIM) cation will lead to an ionic liquid that is insoluble in water. However, if the anion is chloride, the ionic liquid is water soluble. By changing the anion, the ionic liquid can be acidic, neutral, or basic. There are about 1018 theoretical combinations of cations and anions that could potentially form ionic liquids. A realistic number is much lower. Approximately 1,000 ionic liquids are described in the literature today; perhaps 300 are available commercially. Figure 2 shows typical structures that combine organic cations with inorganic or organic anions. Creating combinations of organic cations and anions enables chemists to design, fine-tune and tailor ionic liquids to possess the physical and chemical properties that they need for their specific application. Applications can be characterized by use of ionic liquids either as process chemicals or as performance chemicals. In 1948, the 1-butyl-pyridinium chloride/AlCl3 class of electrically conducting materials drew attention for their use as electrolytes for the electro-deposition of aluminum. Other important applications in this context include their use as electrolytes for batteries, in fuel cells as well as in super capacitors. Today, a large choice of ionic liquids is commercially available, providing a broad range of properties as a result of selection of cations, and especially anions. Over the past five years, other interesting applications have been suggested. Research is active in batteries, where electrical conductivity and nonflammability are important; and in thermal fluids and lubricants because of thermal stability and low vapor pressure. It is reasonable to expect that potential users will bring many more applications forward, with some of them commercialized in the next few years. A broad range of commercial processes and applications now are being investigated. As a result, a number of large-scale applications could be realized in 2006 and 2007. At this time, the most important application of ionic liquids involves their use as reaction media for chemical processes. Many processes produce byproduct acid, most commonly hydrochloric acid. When the reaction product needs to be protected from decomposition or other side reactions, this acid byproduct must be scavenged. Usually, tertiary amines, such as triethylamine, are added to the reaction mixture, generating an ammonium salt; the salt is an unwanted byproduct. In many cases, this ammonium salt can be removed by using an aqueous extraction phase. However, for reaction mixtures that are sensitive to water, the situation is more complicated. In these cases, generation of ammonium salts leads to the formation of a viscous slurry during the reaction. The slurry causes poor mixing, which leads to poor heat transfer, i.e., hot spots, and difficulty controlling the reaction. The slurry is hard to pump and filter. Separation of the solid and liquid phases is expensive, time-consuming, and labor-intensive. This was the situation that BASF faced during its production of diethoxyphenyl-phosphine, a photo-initiator intermediate prepared by reaction of dichlorophenyl-phosphine with ethanol. To avoid an unwanted side reaction of the product, HCl had to be removed from the reaction mixture. Since an aqueous extraction phase would have led to hydrolysis of the desired product, the reaction had to be carried out in a non-aqueous medium in the presence of equimolar quantities of triethylamine. The resulting mixture was the viscous slurry described previously. The challenge to improve this unfavorable process generated an interesting question, i.e., if an acid must be scavenged with a base and the formation of a salt cannot be avoided, why not form a liquid salt? Instead of triethylamine, BASF decided to use 1-methylimidazole as the acid scavenger and immediately realized excellent results. 1-methylimidazole is a reactive solvent in this example. The ionic liquid formed in the reaction was methylimidazolium chloride that, with a melting point of 75oC, was liquid at the 80oC reaction temperature. Upon reaction, two clear liquid phases formed that were easily separated. Since the upper phase was pure diethoxyphenyl-phosphine product, no reaction solvent was needed. The lower phase was pure ionic liquid, which after separation from the diethoxyphenyl-phoshine could be recycled via a deprotonation with sodium hydroxide, thereby regenerating the 1-methylimidazole. Greater than 90% of the 1-methlimidazole is recovered because there is no degradation of solvent or accumulation of impurities. In the very first lab trials, BASF found that 1-methylimidazole was doing an outstanding job of scavenging the byproduct acid. Of greater importance, we found that the ionic liquid that formed functioned as a nucleophilic catalyst. The result of this combined effect was a tremendous increase in the reaction yield per unit of volume and time from 8 to 690.000 kilograms per cubic meter per hour. This improvement enabled BASF to carry out the reaction, which previously required a 20 m3 batch vessel, in a jet reactor the size of a human thumb. This tiny reactor is now part of a continuously operated production plant that has a capacity of more than 1,000 tons per year. Operation began in the third quarter of 2004 at BASFs Ludwigshafen, Germany, site. 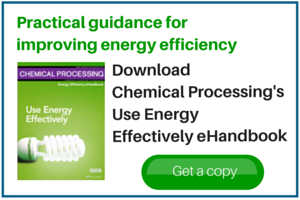 An eco-efficiency analysis of this process clearly demonstrates that ionic liquids can make chemical processes much more sustainable. The so-called BASIL acid scavenging technology has also been applied successfully for esterifications, acylations, silylations, phosphorylations, sulfurylations, eliminations, and deprotonations as well as for acid removals in general in lab trials. BASF has also developed, at pilot plant scale, the chlorination of alcohols with gaseous HCl in the presence of methylimidazolium chloride. Although the chlorination reaction is usually carried out using phosgene or thionylchloride as the chlorinating agent, it has been found that in the presence of the ionic liquid, HCl is a much stronger nucleophile, making it possible to carry out the chlorinations in an easier, safer, and more cost-efficient manner. BASF offers 23 different BASIONICs ionic liquids, based mainly on imidazolium cations. Quantities are available in gram lab scale through industrial scale quantities. Ionic liquids are classified into categories according to characteristics. Some examples of categories include: acidic, basic, liquid at room temperature, and viscosity. This portfolio provides a broad range of basic properties and supports a wide range of possible applications. BASF also offers tailor-made ionic liquids engineered to satisfy each customers unique requirements precisely. Each application requires clear definition of the optimal set of property specifications for the ionic liquid. For example, although an ionic liquid used as a non-aqueous electrolyte in a galvanic process can be colored, the same ionic liquid used for dye-sensitized solar cells must be colorless. Matching the ionic liquid to an application is a multi-step process. The first step is to identify an existing ionic liquid that roughly meets the process or application needs of the customer. Next, the supplier and the customer define in detail the set of specification parameters such as purity, byproducts, halogen content, color, viscosity, etc., needed for commercial success. Finally, a process is designed for commercial scale production of the specific ionic liquid. From the beginning, BASF realized the toxicological and eco-toxicological characteristics of its ionic liquids are important. As for any new chemical, European Union regulations require a set of toxicological data and notification prior to sale or commercial use. Because of their nature, most ionic liquids, excluding halogens, are amenable to disposal by thermal oxidation. Dr. Calvin Emanuel is a Business Development Manager with BASF in Florham Park, N.J; email him at emanuec@basf-corp.com.